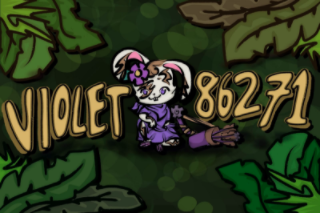 Also Happy April Fools, though I guess it is technically done now, since it ends at 12 right? Oh well... Anyways, I finished a fairy drawing today and coloured it in. Then I video taped it to make a speed drawing of it, though I kinda wish I did that when I was actually drawing it... Oh well XD Then I also coloured in one of my chibi cats though I still have basically 3 more to go. Tomorrow, I will need to finish those, read, finish my 3doodled flowers, finish my watercolour drawing, print landscapes for art and yeah! I guess I have a solid day planned. Yup, just gotta make sure I get those pictures printed though cause I will need them. So yeah. I feel like I did another thing today but I don't think so. I mean I did odd things here and there but yeah. How has your guy's Easter been so far? 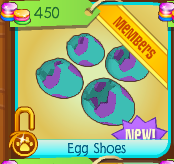 Today we have the egg shoes sold in jam mart clothing for 450 gems! These look interesting although they don't really look like eggs. 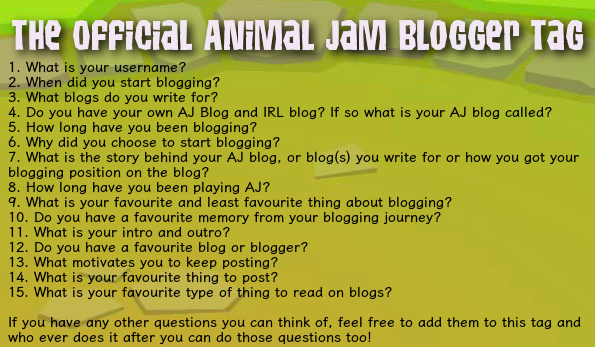 So I decided to create an official animal jam blogger tag. This tag basically focuses on blogger related stuff. At the bottom it mentions that if you can think of any other questions you want then you can add it to it so when the next person does it after you they can do those questions as well. But that is not nessecary. Okay time to answer these 15 questions!! 3. What blogs do you write for? 4. Do you have your own AJ blog and IRL blog? If so what is your AJ blog called? Yes, and yes. I won't be sharing my IRL life blog on her but I do also have a platypus on tumblr called eleanor. 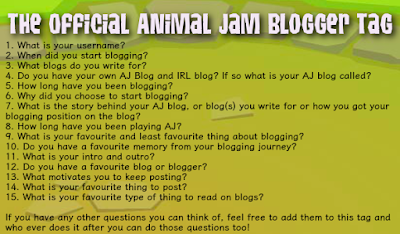 The name of my blog is The Animal Jam Legendary Palooza. 6. Why did you choose to start blogging? I thought it would be fun and at the time I wanted to become famous. I don't really care about the fame now though, but I mean a bit of recognization from new readers would be nice since this blog hasn't really gained many new readers.... I also wanted to post news and so yeah. 7. What is the story behind your blog or blogs you write for? 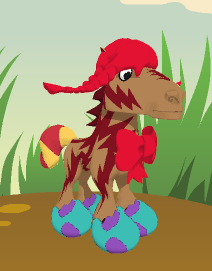 Well for this blog I really wanted a blog and so it was around easter time and so I was doing an egg hunt at my house and so when I was opening up an egg to see what I got, it said An Animal Jam Blog that I could have!! I still remember it exactly like it happened yesterday, I also remember creating the blog. And then for AJAC since I am a back up author for I entered a contest and then became one. 8. How long have you been playing AJ? 9. What is your favourite and least favourite thing about blogging? 10. Do you have a favourite memory from your blogging journey so far? I have a lot of memories but my favourite was probably the one I mentioned before about the story behind my blog. 11. What is your intro and outro? My outro is basically... Thats all for today jammers, see ya later! 12. Do you have a favourite blog or blogger? 13. What motivates you to keep posting? Well I actually made a post about this last week so yall should check it out if ya want the answer. 14. What is your favourite thing to post? Hmmmmm, im not really sure. I just like posting in general. 15. What is your favourite type of post to read? This tag is for anyone who is an AJ Blogger. ALL THE ANIMAL JAM BLOGGERS!! This looks like a cool tag! I’ll have to do it!